Africans were never in confrontation with or exploitation from Europeans, but only with the so-called “White race” that was invented by Turkic Mongolians who raided, enslaved and abused Europeans and Arabs and committed all sorts of atrocities and criminal businesses under the cover of “White race”. Turkic Mongolians, such as Jews, Persians, Turks, Romans, East Germanic, Slavs, rulers of Arabia, and north Indians, were and are the pretenders of White race and the perpetrators of crimes. 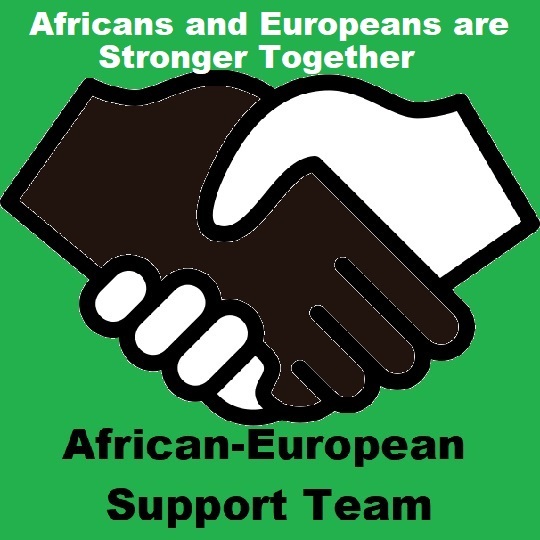 Genuine Africans and genuine Europeans must reconcile, unveil historic forgeries, and work together for their mutual interests against Turkic Mongolian various groups. There is no such White race, there is only Europeans. Turkic Mongolians are not European or Arab and they will never be European or Arab. Genuine Arabs are much like Abyssinian and not Caucasian. White are not necessarily European because Turkic Mongolians were Europeanized since the enslavement of Caucasus and Europe starting in 1800 BC in the same way they were Arabized. This means all the so-called White Caucasians in the Middle East and Africa are in fact Turkic Mongolians. Supremacy Racism is an old Turkic Mongolian policy and trait as much as the institutions of raiding and slavery. Europeans were never raiders, enslavers, or racists. Everybody must be careful who they refer to as European, Indian, Iranian, or Arab. Turkic Mongolians stole the identities of Europeans, Indians, Iranians, and Arabs but they are none of these. Very obvious examples of White race of Turkic Mongolians who are not Europeans are found in South Africa, USA, Canada, Balkan, Anatolia, East Europe, Italy, Israel, Australia, and the rest of the Americas and Africa. Tarig, your title says it all. We must work together to oppose the enemy of the peoples of the world, and build a better world for all.